Free Shipping Included! 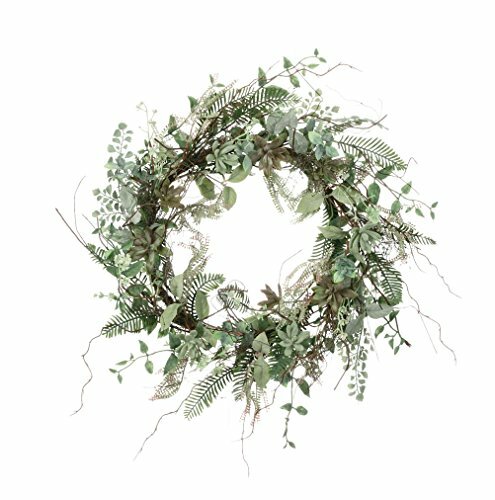 Sullivans 22'' Artificial Spring Wreath (Succulent) by Sullivans at Home Decor Outlet Store. MPN: SCFWR. Hurry! Limited time offer. Offer valid only while supplies last. Welcome Spring with this bright and colorful wreath. The artificial wreath is made up of plastic leaves and petals with a realistic appearance. Welcome Spring with this bright and colorful wreath. The artificial wreath is made up of plastic leaves and petals with a realistic appearance. Includes green loop for hanging. Measures 22"W.